Investigation into NSA-spying? These aren’t the droids you’re looking for. Today, I think I finally understood what is happening to this world. The epiphany hit me this morning, just upon waking up, in that groggy place between dream and reality. Sometime during the past year, we must have entered a parallel universe. Or perhaps someone reprogrammed the Matrix. Probably the NSA, aided by the GCHQ and Germany’s BND. It happened sometime post Snowden. A plot to stop his revelations having any lasting effect. Or perhaps to make us believe that we are completely powerless, no matter how hard we try to change the state of things. That there is no means of resistance against the supremacy of NSA, GCHQ, BND and governments we never really elected. 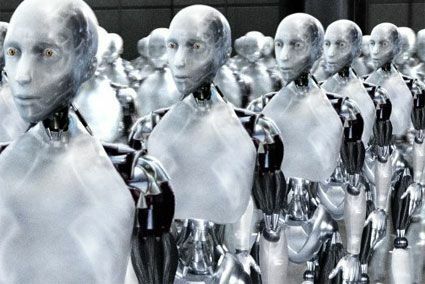 All our politicians have been replaced by androids. That’s the only possible explanation for why they have lost all common sense and keep making programmed decisions. Take Germany’s defence minister, Ursula von der Leyen (yes, it is a woman and yes, that really is her name). She has just decided that it would be a good idea for the German military to acquire a couple of drones. So Germany can have its own series of targeted killings – by the looks of it, the BND has been helping the US with their targeting anyway. It’s all done for the security of soldiers of course. Just like mass surveillance is necessary for national security. Pre-emptive war is next. Against Mars probably. To protect us from the aliens. Secret base on the asteroid that NASA plans to lasso into the Moon’s orbit. No, I am not insane. Our elected leaders are. I can prove it too. The signs have been there for a while. In May, I blogged about how the UK prime minister David Cameron had lost his mind. That is only getting worse. Most recently, his insanity has manifested itself in Cameron’s row with the EU over the new president of the European Commission. Then the absurdity of the German government with its ludicrous legal opinions and Snowden-prevention. It has worked by the way, prevention: the majority of German MPs on the German parliament’s NSA “investigative” committee has voted to prevent Snowden from testifying in Germany. They are asking him to testify via video link from Russia instead. On September 11th. Anyone else notice the irony? Snowden has previously rejected testimony in Russia. So effectively the German decision means no testimony at all. No proper inquiry without Snowden. Everything according to plan. “If we do not want to put Mr Snowden at risk, we cannot just summon him to Germany,” said Christian Flisek, committee chairman for the Social Democrats (one of the coalition partners). And Roderich Kiesewetter, chairman for the Christian Democrats (Angela Merkel’s party) said: “We do not believe that Berlin is a suitable place for Mr Snowden to be.” I am not, for the umpteenth time, going to ask questions about German sovereignty or who runs the country. Instead, let me ask this: does anyone still believe that Berlin is the appropriate place for Flisek, Kiesewetter or any member of the ruling political parties to be? I suggest we send them all to Russia. They can then run the country via video link. And meet Mr Snowden while they’re there. Then again, no: the country is already being run remotely. From the Oval Office, I think. Possibly also via video link. Or by reprogramming the Matrix. We’d never know unless someone gave us a red pill. Which is precisely the problem: We have had the red pill. Given to us by Edward “Morpheus” Snowden. Or Verax, for that matter. Sadly, Germany’s elected leaders in particular seem immune to its effects. The UK government has always been a hopeless case. Only the US government might be coming to its senses. Germany, had they been given a choice, would have taken the blue pill anyway. The red one causes too much trouble. You’d have to leave the cosy goo you’re floating in and face reality. Horrid! Chancellor Merkel prefers her new mobile phone. It is a magical thing. It represses encrypts things. The chip in it costs 2500 Euros – paid for by the taxpayer, I wonder? If yes, can I work tax-free for a couple months to save up for my own crypto-phone? The other MPs simply bear the spying „with dignity.“ (Yes, one of them really said this. He meant it as a joke but still – what does that seem to tell us about his attitude towards mass surveillance?) Meanwhile, the German government changed its phone and broadband provider. It has given Verizon the boot and plans to establish a secure federal communications infrastructure. But perhaps no secure infrastructure for 80-odd million Germans. There used to be a time – before the last general election in Germany – when the leader of the Social Democrats, Siegmar Gabriel, agreed that what was going on wasn’t right. Now, Mr Gabriel lives proof that the German government has been replaced by robots. Or that we are living in a new version of the Matrix in which reality is the exact opposite of what any sensible person would expect it to be. Mr Gabriel, too, is now saying the exact opposite of what he said before the election. I have commented on this before. I have even emailed the social democrats and Mr Gabriel about it. This was in April and May. To this day, I haven’t received as satisfactory reply. I guess it’s not what he’s been programmed to do, replying. Meanwhile, the NSA support investigative committee has vowed that it will “lose no time” investigating recent revelations by Der Spiegel that the German BND has been working closely with the NSA. They will do it right after the summer break, said Patrick Sensburg, the committee’s chair-android. Sascha Lobo pointed out in Der Spiegelthat it takes a peculiar sense of time to use the phrases “lose no time” and “after the summer break” in the same utterance. Clearly, the MPs’ reality is different from ours. I guess the course of action proposed by vice-chancellor Gabriel last year (before the election, when he was still the opposition) has been deleted from the federal androids‘ hard drives and replaced by new „cyber dialogue“ software. Successfully tested on foreign secretary Frank-Walter Steinmeier recently, the new programme means a lot of talk but no action. The Matrix is healing itself, quarantining the virus that is Edward Snowden, assimilating us all. Resistance is futile. Yes, sometimes it is difficult not to despair. But then, a wise man once said that in a democracy you always have two voices, two votes: the one at the ballot box and the one in debate. Well then, let’s debate. Let’s hand out red pills like candy. Let’s fight to make people aware. Then hopefully, debate will impact ballot and we can still win. Greenpeace, the Tenth Amendment Centre and the EFF (legends!) this week showed us but one way of doing this, of raising awareness, of making their voices heard: they flew a giant blimp over the NSA data centre in Utah. On it, it said: “NSA, illegal spying below.” This is utter brilliance. We need more of the same. NSA-Aufklärung: Hilfe, es sind Androiden! Jetzt weiß ich endlich was mit der Welt los ist. Heute Morgen beim Aufwachen, im schlaftrunkenen Zustand zwischen Traum und Wirklichkeit, traf mich die Erkenntnis mit voller Wucht. Irgendwann innerhalb des vergangenen Jahres müssen wir in eine parallele Realität abgedriftet sein. Oder jemand hat an der Matrix herumprogrammiert. Vermutlich war es die NSA. Mit Hilfe von GCHQ und BND. Es muss nach Snowden passiert sein. Um zu verhindern, dass seine Enthüllungen nennenswerte Konsequenzen haben. Vielleicht auch, um uns weis zu machen, wir wären komplett machtlos, ganz egal, was wir auch versuchen. Gegen die Macht der NSA, des BND, der Regierungen, die wir nicht gewählt haben, ist in der Demokratie kein Kraut gewachsen. Die Politiker wurden durch Androiden ersetzt. Das ist die einzig logische Erklärung dafür, dass alle den Verstand verlieren und nur noch vorprogrammierte Entscheidungen treffen. Aktuelles Beispiel: Ursula von der Leyen. Die macht jetzt auf Kampfdrohnen. „Zum Schutz der Soldaten“. Ist klar. Und Massenspionage ist „zum Schutz der nationalen Sicherheit“. Als nächstes dann der Präventivkrieg. Gegen den Mars. Zum Schutz vor den Aliens. Außenstützpunkt auf dem Asteroiden, den die NASA per Lasso in die Mondumlaufbahn zieht. Nein, ich bin nicht irre. Mein Verstand ist völlig klar. Die gewählten Vertreter sind irre. Ich kann es auch beweisen. Über den Irrsinn eines David Cameron schrieb ich ja bereits im vergangenen Mai. Dieser setzt sich dieser Tage im Streit um EU Kommissionspräsidenten Jean-Claude Juncker weiter fort. Gleichfalls der Irrsinn der BuReg mit ihrem amerikanischen Rechtsgutachten zur Snowdenverhinderung. Hat ja jetzt auch geklappt, die Verhinderung. Mehrheitlich beschlossen von den Mitgliedern der CDU und SPD im NSA-Ausschuss. Statt dessen Vernehmung per Videolink im September. Am 11. September genauer gesagt. Fällt noch jemandem die Ironie auf oder bin das nur ich? Snowden sagte dazu ja bereits nein. Also gar keine Vernehmung. Ganz wie geplant. “Wenn wir Herrn Snowden nicht gefährden wollen, können wir ihn nicht einfach nach Deutschland laden”, sagte SPD-Obmann Christian Flisek zu der Entscheidung und Onions-Obmann Roderich Kiesewetter konstatierte: “Wir glauben nicht, dass Berlin ein geeigneter Ort für ihn ist.” Ich stelle jetzt nicht zum x-ten Mal die Frage, wer eigentlich genau Deutschland regiert und ob Deutschland souverän ist. Mich interessiert vielmehr, ob noch irgendwer glaubt, dass Berlin ein geeigneter Ort für Flisek, Kiesewetter oder überhaupt irgendein Mitglied der GroKo ist? Vielleicht sollten wir die auch alle nach Russland schicken. Dann könnten sie Deutschland per Videolink regieren. Und sich auch gleich mit Herrn Snowden treffen. Aber nee: das Land regiert ja sowieso jemand fern. Aus dem Oval Office. Vermutlich auch per Videolink. Oder eben durch Programmierung der Matrix. Erfahren wir sowieso nie, wenn uns nicht jemand eine rote Pille gibt. Genau da liegt aber das Problem: wir haben die rote Pille bereits bekommen. Verabreicht durch Edward „Morpheus“ Snowden. Oder Verax. Leider sind unsere gewählten Vertreter offenbar Immun gegen die Wirkung oder mit den Maschinen im Bunde. Hätten sie die Wahl gehabt, hätten sie ohnehin die blaue Pille genommen. Rot ist zu anstrengend. Da muss man die wohlige Glibbersoße in der man vor sich hindümpelt verlassen und sich der Realität stellen. Igitt! Nein, danke. Merkelchen schafft sich stattdessen lieber ein neues Handy an. Das kann Verdrängung Verschlüsselung. Der Chip in dem Ding kostet 2500 Euro. Zahlen das eigentlich wir Steuerzahler? Kann ich dann ein paar Monate steuerfrei arbeiten, damit ich mir auch so ein Ding anschaffen kann? Der Rest der Damen und Herren Regierungsschaffenden trägt indes die Spionage „mit Fassung“. Und wechselt den Netzbetreiber. Weg von Verizon, die „Informations- und Kommunikationsstrukturen des Bundes … neu gestalte[n]“ und so. „[E]ine sicherere Infrastruktur“ bereitstellen. Sicher für wen? Rund achtzig Millionen Menschen in Deutschland ja offenbar nicht. Früher – also vor der Wahl – sah das auch SPD-Chef Sigmar Gabriel so. Der ist übrigens das beste Beispiel dafür, dass die Politiker der BuReg alle durch Roboter ersetzt worden sind. Oder eben dafür, dass wir jetzt in einer umprogrammierten Parallelmatrix leben, in der die Geschehnisse den genau gegenteiligen Verlauf dessen nehmen, was jeder halbwegs vernünftige Mensch erwarten würde. So sagte dann Herr Gabriel vor der Wahl eben auch das genaue Gegenteil von dem, was er nach der Wahl sagt. Hatte ich schon besprochen. Hatte die SPD auch danach gefragt. Herrn Gabriel auch. Auf Antwort warte ich heute noch. Ich denke mal, darauf ist er nicht programmiert. Sascha Lobo ging jüngst im Spiegel auch noch einmal darauf ein und dröselte systematisch auf, wie man die Aussagen des Herrn Gabriel als Forderungen benutzen könnte um „BND und Verfassungsschutz… für Mitwisser- und -täterschaften zur Rechenschaft“ zu ziehen und „die aktiven wie passiven deutschen Beteiligungen an der Totalüberwachung auf ganzer Breite zu untersuchen“. zitiert Lobo Patrick Sensburg, den vorsitzenden Androiden des NSA-Unterstützungsausschusses und kommentiert, dass man “um “keine Zeit verlieren” und “nach der Sommerpause” in einem Satz unterzubringen… schon ein ganz besonderes Zeitverständnis“ braucht. Was wieder darauf hindeutet, dass die Realität offenbar aus den Fugen geraten ist. Die vom Vizekanzler im letzten Jahr festgelegte „Marschroute“ ist inzwischen von den Festplatten der Androiden gelöscht und mit neuer Cyborgdialogsoftware überschrieben. Diese wurde kürzlich an Bundesaußenandroid Steinmeier erfolgreich getestet. Ab jetzt geht man „miteinander nach vorn“ statt sich „ineinander zu verhaken“. Die Selbstheilungskräfte der Matrix sind in vollem Gange, der Computervirus Edward Snowden wird langsam aber sicher aus dem System getilgt. Wir werden alle assimiliert. Widerstand ist zwecklos. Zwangsernährung mit der blauen Pille. Da gibt’s nur eins: nicht schlucken, sondern spucken. Klopf, klopf… folge dem weißen Kaninchen. Nein, ich habe nicht aus lauter Verzweiflung den Verstand verloren. Ich nicht. Allein bei den Androiden gehen im Oberstübchen mehr und mehr die Lichter aus. Ich hoffe, ich wache morgen auf und die Wirklichkeit ist wieder an ihrem Platz, die Dinge sind so, wie sie sein sollten. Edward Snowden ist ein gefeierter Held, die Bundesregierung kommt vor Gericht oder setzt sich umgehend für flächendeckende Aufklärung ein. Ich schmeiße eine Party und setze mich dann zur Ruhe. Diesen Traum habe ich schon eine Weile. Aber genau das ist das Problem: ich bin wach. Das hier ist die Realität. Neustart geht nicht. „Die Aufklärer müssen liefern“, fordert Sascha Lobo. Welche Aufklärer? Diese Woche im UK, ein Wunder: zum ersten Mal seit Monaten schaffte es eine Geschichte zum Überwachungsskandal nicht nur auf die Titelseite des Guardian. Die Meldung, dass sich das britische GCHQ auf eine äußerst fragwürdige Definition von aus- (external/foreign) und inländischer (internal/domestic) Kommunikation verlässt um die Social-Media-Daten der Briten in großem Stile abzugreifen schien dann doch aufregend genug, dass auch andere Publikationen daran Interesse hatten. Social Media – darunter stellt man sich etwas vor. Ebenso wie unter Nacktfotos und der kompasslosen Freundin des „Leakers“. Das waren die beiden anderen Geschichten, an die ich mich in England auf den Titelseiten erinnere. Die Aufregung im UK angesichts der rechtlichen Sophisterei des GCHQ, sofern es sie gab, dauerte einen Tag. Soviel zu 33% politischem Interesse innerhalb der englischen Bevölkerung. Ob Deutschland da besser dasteht ist fraglich. Laut Statistik liegt das politische Interesse zumindest bei 60%. Dennoch beklagt Sascha Lobo im Spiegel nicht zu Unrecht, dass der Versuch einer Debatte mit beliebigen „Fußgängerzonenpersonen“ oft enttäuschend ist. Es… [eine] spezielle Mischung aus Hoffnungslosigkeit, Zynismus und Egalhaltung [ist], die zur Verzweiflung führen kann. Bei denen, die für die verfassungsgarantierten Grundrechte eintreten, die genau in diesem Moment durch eine aggressive Spähmaschinerie ignoriert werden. Ebenso frustrierend ist die immer noch ausbleibende entschiedene Reaktion der Politik. Immerhin, in den USA votierte das Repräsentantenhaus am Donnerstag gegen sogenannte „Backdoor Searches“, also Zugriff auf die Daten amerikanischer Staatsbürger durch eine legislative Hintertür. In Deutschland dagegen erscheint in der Print-Ausgabe des Spiegel eine lange Titelstory über die NSA und mögliche Involvierung des BND – und immer noch passiert nichts. Auch nicht, als der Spiegel nachlegt und nicht nur die englische Version der Titelgeschichte online stellt, sondern außerdem die zugrunde liegenden Dokumente als PDFs zum Download anbietet. Glenn Greenwald’s The Intercept bringt einen Bericht über die Partnerschaften der NSA mit ausländischen Diensten, die dem amerikanischen Geheimdienst Zugriff auf Unterseekabel auf der ganzen Welt ermöglichen. Deutschland wird in diesem Bericht wiederholt als ein entscheidender Partner genannt. Wie reagieren NSA-Untersuchungsausschuss und BuReg? Als wäre nichts gewesen: mit der Mitteilung, dass man die neuen Enthüllungen zwar „so schnell wie möglich sichten“ will, aber die Snowden-Vernehmung wohl kaum noch vor der Sommerpause stattfinden wird. Darauf dann die prompte Absage des Schlüsselzeugen Snowden an ein informelles Treffen mit Mitgliedern des NSA-Ausschusses in Moskau. Darüber habe ich mich bereits aufgeregt. Da sitzt der Mensch, dem wir unser Wissen über jene „aggressive Spähmaschinerie“, die unsere Rechte ignoriert, verdanken seit über einem Jahr in Russland fest, es kommen immer mehr Informationen zur Massenausspähung in Deutschland ans Licht, Verfassungsrechtler melden Bedenken an, aber Regierung und NSA-Ausschuss machen erstmal Ferien. Ja, manchmal ist es schwierig, nicht zu verzweifeln oder dem Zynismus anheim zu fallen. Noch schwieriger ist es, nicht zu glauben, der NSA-Ausschuss – oder zumindest diejenigen Mitglieder, die nicht den Oppositionsparteien angehören – würden Snowdens Vernehmung nicht mit voller Absicht verschleppen. Entweder, weil der BND bis Oberkannte Unterlippe in der Sache drinhängt oder weil man immer noch hofft, die Aufregung ginge von selbst wieder weg und man könne ohne große Anstrengung und Zerwürfnisse mit den USA zur Tagesordnung zurückkehren. Nach einem Jahr sollte klar sein, dass das ein Wunschtraum ist. Oder? Die Snowden-Enthüllung über unsere illegale Überwachung war ein Test eurer Reaktion. Vielen Dank für euren Mangel an Interesse oder Protest. Stimmt leider. Ich würde zwar nicht wie Wolfgang Michal behaupten, dass Snowden gar nichts enthüllt hat. Aber vielleicht könnte die Debatte um die NSA-Enthüllungen wirklich etwas für die Masse Greifbareres vertragen – „Inhalte“, wie Michal schreibt – Social Media Chat-Angriffe, Nacktfotos von Yahoo! Webchats und so weiter – Dinge, die die Leute irgendwie sichtbarer betreffen. Dass das greift sieht man im UK, wenn auch nur für einen Tag. Von Massenüberwachung sterben eben keine Vögel aus. Von Klimawandel schon – und auch da ist die Debatte nicht nachdrücklich genug, weil die Bedrohung offenbar zu abstrakt, zu weit weg ist, dass man sich dauerhaft darüber ereifert, ohne dass wichtigere Dinge dazwischen kommen. Überhaupt bestehen einige interessante Parallelen zwischen Klimawandel und NSA-Affäre. Zum Beispiel ein gewisses „Ohnmachtsgefühl gegenüber einem übermächtigen Gegner“. Das Schmelzen der Pole ist ebenso wenig aufzuhalten, wie die NSA – was kann man da schon tun? Kein Haarpsray mehr benutzen? Weniger Auto fahren? Weniger fliegen? Sich in komplexe Verschlüsselung einarbeiten? Eine andere Suchmaschine als Google benutzen? Wir sind schlicht zu bequem. Dann ist da noch die Spezies der Klimawandelskeptiker, die ihre Entsprechung in den Snowden-Skeptikern oder schlicht -Leugnern findet. Zu ihr gehören Angehörige der Geheimdienste ebenso wie Menschen, die nur darauf warten, anzumerken, dass die Aufregung Unsinn ist – NSA, GCHQ, BND und Co. verhalten sich rechtmäßig, Snowden und die Reporter übertreiben schlicht oder haben die Sache einfach nicht verstanden. …laut BND gibt es eine Erklärung, die den Vorwurf der Spionage gegen Deutschland entkräftet: Man gehe davon aus „dass die Sigad US 987-LA und –LB Bad Aibling und der Fernmeldeaufklärung in Afghanistan zuzuordenen sind“ – demnach stammen die 500 Millionen Datensätze von BND, gesammelt in anderen Ländern. Allerdings schränkte der deutsche Geheimdienst ein, man könne nicht genau sagen, ob damit alle von der NSA aufgelisteten Daten erfasst seien“. Sollten die Angaben zutreffen, dann wäre die Formulierung von „Boundless Informant“ – und auch die Interpretation des Spiegel – falsch gewesen. Der Spiegel wäre „zurück gerudert“ hieß es auf Twitter. Subtext: Seht ihr, war doch Unsinn mit der Massenausspähung. Mal Klartext: Der Spiegel weist die Möglichkeit der Massenüberwachung nicht zurück oder schließt sie aus. Es wird lediglich der Fall in Betracht gezogen – und das im Konjunktiv – dass die Interpretation der „Boundless Informant“ PowerPoint Folie falsch gewesen sein könnte. Könnte ist das maßgebliche Wort hier. Auch sollte inzwischen klar sein, dass man das, was die Geheimdienste sagen nicht unbedingt für bare Münze nehmen sollte. Edward Snowden wiederholte erst kürzlich gegenüber NBC, dass James Clappers (unwahre) Antwort: „No, sir, not wittingly“ (Nein, nicht wissentlich) auf die Frage von Senator Ron Wyden, ob die amerikanischen Geheimdienste massenhaft Daten amerikanischer Staatsbürger sammeln, für ihn eins der auslösenden Momente war, an die Öffentlichkeit zu gehen. Clapper kam mit seiner von ihm selbst später als „die am wenigsten unwahre Antwort, die möglich war“ bezeichneten Lüge davon. Es ist weder der NSA, noch dem GCHQ oder dem BND erlaubt, Inlandskommunikation zu überwachen. Sich darauf heraus zu reden, wie das Britische GCHQ es diese Woche tat, man könne Social-Media-Kommunikation zwischen jemanden in Birmingham und jemandem in London abhören, weil sie über Facebook und somit auf einem in den USA platzierten Server erfolgt ist hochgradig irreführend und zeigt darüber hinaus, wie gern die Geheimdienste die Gesetze zum Schutz privater Kommunikation soweit es nur irgend geht beugen. Ganz zu schweigen von den semantischen Kunststücken, in die sich die Geheimdienste gerne bei der Definition dessen ergehen, was eigentlich „Spionage“ ist – Inhalte ja, Metadaten nein. Dies verschweigt nicht nur, dass Metadaten oft aussagekräftiger sind als Inhalte. Es stellte sich zudem heraus, dass Inhalte eben doch abgegriffen werden und dass dies aufgrund jener fragwürdigen Rechtfertigungen oder Gesetzeslücken geschieht, auf die man sich im UK diese Woche berief. Gesetzeslücken sollten aber kein Argument für die Legalität der Programme sein, sondern schlicht als Beweis dafür verstanden werden, dass die entsprechenden Gesetze hinter den neuen technischen Möglichkeiten und der globalen Kommunikationslandschaft des Internets zurück geblieben und unbedingt reformbedürftig sind. Darüber hinaus müssen, wie Glenn Greenwald erst kürzlich in einem Interview sagte, alle Enthüllungen über die NSA mit Blick auf deren „Collect it All“-Ambition bewertet werden. Es erscheint hochgradig naiv zu glauben, der BND würde lediglich Daten aus der Auslandsaufklärung an die NSA weitergeben, die NSA würde aber in Deutschland ansonsten nicht spionieren. Abgesehen davon ist ein mögliches Ausspionieren deutscher Staatsbürger durch NSA und BND nur ein Teil des unheimlichen Gesamtbildes. Ebenso erschreckend ist die Möglichkeit, dass aus Deutschland stammende Informationen für amerikanische Drohnenangriffe verwendet wurden. Das, obwohl die BND-Chef Schindler noch im vergangenen Sommer beteuerte: “Eine millionenfache monatliche Weitergabe von Daten aus Deutschland an die NSA durch den BND findet nicht statt”. Und selbst wenn Schindler da nicht die Wahrheit verbogen hat – und in den Dokumenten des Spiegel ist von täglicher Datenweitergabe des BND an die NSA die Rede – so geht aus den PDFs auch hervor, dass der BND offenbar Einfluss auf die Bundesregierung gesucht hat, damit Gesetze zum Schutz der Privatsphäre weniger streng interpretieret und somit längerfristig der Datenaustausch zwischen den Diensten vereinfacht werden konnte. Bedenken zur Gesetzeslage hatte ich ja bereits an anderer Stelle geäußert. Auch heißt es in den PDFs, dass die deutsche Regierung die Interpretation des G-10 Gesetzes geändert hat um es dem BND zu ermöglichen, durch das Gesetz geschützte Informationen mit seinen ausländischen Partnern teilen zu können. Mehr ist zum Verständnis, weshalb die BuReg sich gegen eine Aussage Snowdens sperrt eigentlich nicht nötig. Snowden hatte bereits vor dem EU-Parlament ausgesagt, dass am G-10 Gesetz gewerkelt wurde – nicht auszudenken, was er noch erzählen könnte, wenn man ihn denn ließe. Ob man es tröstlich findet, dass aus den Dokumenten ebenfalls hervorgeht, dass Misserfolge des BND (was genau das heißt, steht da nicht) in Bezug auf das G-10 Gesetz einige Operationen einschränken, sei jedem selbst überlassen. Es ist schwierig zu glauben, auch angesichts des Zauderns der Bundesregierung, die Arbeit des NSA-Untersuchungsausschusses zu unterstützen, dass der BND sich tugendhafter anstellt, als seine amerikanischen und britischen Äquivalente. Aber es wäre ja gerade Sinn und Zweck einer umfassenden Untersuchung, genau zu klären, was der BND tut und ob das alles rechtens ist. Passiert nur nicht. Jetzt ist erstmal Sommerpause. Und zu den Fußgängerzonenpersonen, die mit resigniertem Desinteresse auf die Sache reagieren, gesellen sich die Verweigerer. Wie bekommen wir es also hin, anstatt zu verzweifeln, die Sache irgendwie weiterzuführen? Nun ja, im Ausschuss hört man am 3. Juli (vorher der für Snowden angesetzte Termin) angeblich Thomas Drake und Bill Binney – ihres Zeichens ebenfalls NSA-Whistleblower. Drake ist einer derjenigen, die Snowden bei jeder sich bietenden Gelegenheit lautstark verteidigen. Bleibt zu hoffen, dass die Herren mal ein paar Schnarchhähne wachrütteln. Was den Rest von uns Verzweifelten angeht, haben sowohl Sascha Lobo, als auch Steffen Wenzel Ideen, die Antworten sowohl auf das Desinteresse in der Bevölkerung als auch das Zaudern der Regierung geben könnten. Machen wir uns also, wie ich ja bereits schrieb, ans Debattieren, denken wir uns aus, wie wir die Problematik den Menschen zugänglicher machen können. Vielleicht aber nicht unbedingt, wie Lobo vorschlägt, durch eine „Entsnowdenisierung“ der Debatte. Eher das Gegenteil: vielleicht sollte man die Debatte anhand der Person Snowden personalisieren, denn am Schicksal des Whistleblowers zeigt sich ja gerade das Versagen der Regierungen, Leute wie ihn, Bürger und Rechte zu schützen, also sich für diejenigen einzusetzen, die versuchen, Demokratie und Rechtsstaat zu retten. Nicht umsonst verstummen die Proteste und Rufe nach Asyl für Snowden nicht: da ist jemand, auf den man blicken, mit dem man sich identifizieren, den man bewundern kann. Mit Snowden wird die Sache persönlich. Snowden scheint übrigens nicht zu verzweifeln. Im Gegenteil: er zeigt, dass Mut auch heißen kann, entgegen aller Widrigkeiten weiterzukämpfen. Snowden hat sein Leben aufgegeben um uns die Debatte zu ermöglichen. Wer wären wir da, wenn wir nachließen? Verzweifeln, verstummen, den Rechtsstaat aufgeben kann keine Option sein. Stecken wir also die Köpfe zusammen und suchen nach Wegen. Nehmen wir den Kampf, nehmen wir die Debatte auf. Happy Birthday, Edward Snowden! Stay safe and – again – thank you! Apologies to all English readers for posting so much in German recently. There has been a lot going on in Germany related to Edward Snowden, the NSA and Germany’s own foreign intelligence agency, the Bundesnachrichtendienst (BND) that I felt I needed to write about urgently. I hope to produce translations this week but will be traveling with work so I am a bit short on time. Meanwhile, why not take a look at the English version of the cover story published this week by Der Spiegel which has a lot of interesting and scary information on NSA involvement in Germany. The Intercept reported on this here, and they also ran a story on the NSA’s secret cooperation with “more foreign governments than previously known”. Germany features several times in this. Many of the PDFs Der Spiegel has made available for download make for interesting reads – not just for Germans. The legal implications of what is going on in Germany (changing laws for example to facilitate data sharing) can stand as a warning for non-Germans as well – if surveillance isn’t reined in properly or laws aren’t adjusted to advanced technical capabilities, the potential threat to civil rights and liberties that result from these capabilities is truly formidable. Further, the Guardian has published an article on how the British GCHQ justifies its data-gathering from social media – the justification that such communications are “external” (or foreign) is of course ludicrous: someone from Birmingham chatting to someone in London via Facebook, especially if both of them are British citizens, should still be protected under British domestic communication laws, even if the communication takes place on a server located in the US. Also – hence my rant in German the other day – Edward Snowden has turned down a request from the German NSA investigative committee to meet with representatives for an “informal chat” in Moscow. I am not furious with Snowden, I think he made a very sensible decision there. I am furious with those members of the NSA committee who have been dragging this thing out, not to mention the German government for employing ridiculous tactics to keep Snowden out of Germany – obviously a real investigation is not what they want which should make everyone wonder what the BND is really up to. The refusal to hear Snowden also says something deeply concerning about the German government efforts (or lack thereof) to protect the basic rights of millions of Germans. By a vote of 293 to 123…voted to ban the National Security Agency from conducting “backdoor searches” on United States citizens, a process that allowed the intelligence community to collect data on Americans without a warrant as long as the official target was a foreigner. 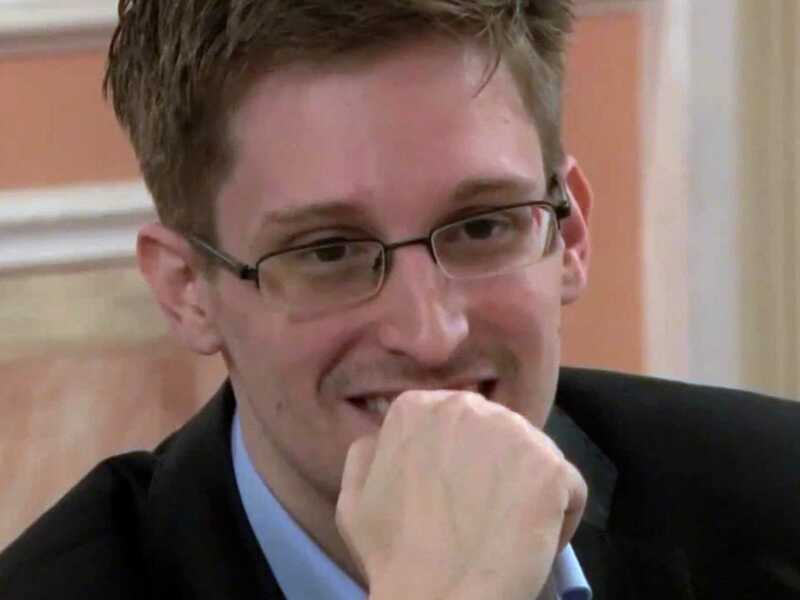 Finally, it’s Edward Snowden’s 31st Birthday today, so HAPPY BIRTHDAY, EDWARD SNOWDEN! We will continue to stand with you and campaign for you and hopefully one day some of it will help. Meanwhile, stay safe and thank you again for your courage and commitment. So. Edward Snowden hat also einem informellen „Kennenlernen“ mit Mitgliedern des NSA-Untersuchungsausschusses in Russland eine Absage erteilt. Ist irgendwer überrascht? Nein? Kein Wunder: war ja auch seit Längerem abzusehen. Die Grünen waren von Anfang an gegen eine solche “Kaffeefahrt”, Snowdens deutscher Anwalt, Wolfgang Kaleck, hatte ebenfalls Bedenken angemeldet – und hat nun offenbar auch seinen Mandaten davon überzeugt, dass für ein Gespräch in Moskau “derzeit weder Raum noch Bedarf” besteht. Man soll ja keine Schuldzuweisungen machen. Ich mache das jetzt aber trotzdem mal: Schuld an dem Schlamassel sind diejenigen Mitglieder des NSA-Ausschusses, die seit Monaten katzbuckeln – und die Bundesregierung mit ihren unsinnigen Rechtsgutachten und Gebärden von wegen keine Zusicherung freien Geleits, kein Zeugenschutz und überhaupt Auslieferung. #fail nennt Twitter das heute – und zwar #epic. Mann soll ja auch nicht vorzeitig urteilen. Ich rate jetzt aber trotzdem mal, was weiter passiert – was diese Dinge angeht ist es ja nicht schwierig präkognitive Fähigkeiten zu entwickeln. Zum einen kriechen jetzt wieder die Spion-Rufer aus dem Unterholz: Snowden arbeitet für den FSB – seine Absage an ein Treffen ist der Beweis. Diese Anschuldigung ist so lächerlich, dass man sich damit nicht weiter auseinander setzen muss. Zum Zweiten ist dies jetzt sicher ein gefundenes Fressen und die Gelegenheit für gewisse Mitglieder des NSA-Ausschusses und der BuReg (#fail), Snowden den schwarzen Peter zuzuschieben: er ist gar nicht an wahrer Aufklärung interessiert, sonst würde er sich nicht so anstellen. Namen muss man nicht nennen. Jeder, der im Thema ist, weiß sowieso, wer gemeint ist. Falsch! Die Aussage muss so lauten: der BuReg und der Mehrheit des NSA-Ausschusses liegt nichts an wirklicher Aufklärung, sonst würden sie sich nicht so anstellen. An den Grundrechten deutscher Bürger liegt ihnen offenbar auch nichts. Von Snowden – dem man die Möglichkeit zur Aufklärung überhaupt verdankt – sowieso nicht. Im Gegenteil: ein Glück, dass man Snowden endlich erfolgreich solange am langen Arm hat verhungern lassen, dass er von sich aus einsieht, dass die Sache zwecklos ist. Damit wäre dieses Ärgernis dann auch elegant vom Tisch. Dann steht einer geruhsamen Sommerpause ja nichts mehr im Wege. Echt. Man möchte sich vor den Bundestag stellen und losschreien. Vielleicht weckt man ja ein paar der Schnarchnasen auf, die da herumsitzen. Ich weiss, man soll auch immer sachlich bleiben. Fällt dieser Tage hin und wieder schwer. Was Herrn Snowden angeht kann ich nur sagen, er hat sicher richtig gehandelt, als er sich Wolfgang Kaleck ins Team holte. Kaleck wird erkannt haben, dass keine Veranlassung für Snowden besteht, sich an einen Vermeidungsausschuss zu verschachern, dessen Interesse an Aufklärung gegen Null geht. Erklär’ mir doch mal bitte einer den Sinn und Zweck dieser Verschwendung von Steuergeldern. Es wäre hochgradig heuchlerisch zu behaupten, Snowden hätte die Situation mitverschuldet. Die Verantwortung für Aufklärung ebenso wie die Beschaffung der dazu notwendigen Beweise und Zeugen liegt bei denjenigen, die verantwortlich dafür sind, Deutschland, seine Bürger und deren Rechte zu verteidigen – „Schaden vom deutschen Volke zu wenden“, lautet der Amtseid. Wird das nicht getan – vor allem in einer Woche, in der weitere Enthüllungen wichtige Fragen zur Rolle des BND aufwerfen – dann sei die Verantwortlichkeit für dieses schändliche Versagen bitte den Richtigen vor die Tür gelegt. Nur nochmal zum Mitschreiben: das ist nicht Edward Snowden. Und die Leidtragenden sind (abgesehen mal von Snowden) natürlich wir. Diejenigen, die von der NSA bespitzelt werden, ohne dass darum großes Holladrio gemacht wird, weil unsere Handys eben nur unsere Handys sind und nicht die von Frau Merkel. In einer Demokratie hat man zwei Stimmen. Eine auf dem Wahlzettel und eine in der öffentlichen Debatte. [B]ei beiden liegt die Wirksamkeit letztlich in ihrer schieren Masse, denn wenn die Öffentlichkeit beständig darüber zu diskutieren scheint, muss sich die Politik erst positionieren und später handeln. Eben. Es kann jetzt nicht darum gehen, eine Vernehmung des Zeugen Snowden grundsätzlich abzuschreiben. Natürlich ist klar, woher der Impuls dazu kommt: Die BuReg ist nicht bereit Snowden nach Deutschland zu holen, Snowden ist (zu Recht) nicht bereit in Russland auszusagen. Sieht nach einer Pattsituation aus. Muss es aber nicht sein. Zumindest nicht langfristig. Wenn wir als Bürger nämlich eben nicht angesichts der Widrigkeit kapitulieren und die Köpfe in den Sand stecken, sondern weiter debattieren, weiter fordern, weiter rufen Snowden! Snowden! Snowden! Dann muss die Politik irgendwann wirklich handeln. Spätestens dann, wenn durch unser Gezeter auch andere aufmerksam werden. Wenn die Wirksamkeit von Stimmzettel und Debatte in der schieren Masse liegt, dann müssen wir eben die Masse vermehren, müssen diskutieren, informieren, weiterschrei(b)en. Selbst wenn die Politik der Debatte nicht zuhört – letztendlich entscheiden immer noch wir – per Wahlzettel. Soll also die Debatte, wenn nicht die Regierung, dann eben den Wahlzettel beeinflussen. Kurzfristig mag das weder uns noch Edward Snowden helfen. Aber gerade das ist es ja: manchmal braucht Veränderung einen langen Atem. Wer glaubt, die Debatte um Asyl oder eine Zeugenaussage sei vom Tisch, der irrt. Snowdens Absage an ein vermutlich ohnehin sinnloses und für ihn potenziell schädliches Treffen in Moskau, ist keine Absage an eine Zeugenaussage in Deutschland. Auch, wenn vielleicht versucht werden wird, das so auszulegen. Es ist mitnichten so, dass man daran nichts machen kann. Machen wir uns also ans Debattieren. Zu Edward Snowdens Entscheidung nur das: richtig so! Und gut gemacht, Herr Kaleck! So, this week there they were, right in our faces: a thousand and one reasons for why Edward Snowden will quite probably remain stuck in Russia. Okay, not a thousand and one – that’s hyperbole. But several pretty weighty ones. Ewen MacAskill, one of the reporters who met Snowden in Hong Kong, was quoted by German newspaper TAZ as saying that he expected Snowden would have to stay in Russia for much longer. There weren’t many countries that would withstand pressure from the US, MacAskill said. Also, there was nothing that Snowden could offer the US in return for, say, a plea bargain, so his chances of returning home were just as remote. As if to remind us of what is likely to happen to Snowden should he return to the US to face trial, Chelsea Manning (yes, the Iraq War Logs whistleblower who was sentenced to 35 years in prison for telling us all that was going wrong in Iraq) resurfaced by writing an op-ed in the New York Times about the US army’s control of war reporting – an enlightening piece of writing that is a must-read. Then there is the Washington Post. In an article titled “U.S. officials scrambled to nab Snowden, hoping he would take a wrong step. He didn’t,” journalist Greg Miller reveals what was going on behind the scenes at meetings between “senior officials from the FBI, the CIA, the State Department and other agencies” who last year “assembled nearly every day in a desperate search for a way to apprehend” Edward Snowden. We all know how that played out. The Post article mentions the incident with the Bolivian presidential plane. “We know exactly where Mr Snowden is” – or do we? As for third countries: the quotes from Lisa Monaco and the anonymous official above really tell us all we need to know about the relationships these countries have with the US. And considering how most governments seem to misplace their balls (and guts and any other metaphorically courageous part of their bodies – I have said this before), it is difficult not to wonder whether it isn’t just as well that Mr Snowden never made it to any of them. According to the Washington Post there seems to be some confusion over whether or not the US government knows Mr Snowden’s exact whereabouts in Russia. U.S. Attorney General Eric Holder has claimed they “know exactly where Mr. Snowden is.” If true, it may tell us something about the relationship between the US and Russia (although nothing about the alleged relationship between Mr Snowden and Russia) that the US haven’t sent in a jet to apprehend him yet. Apparently, they did try when they send that rendition jet last year, but could not negotiate Mr Snowden’s extradition, so the US jet landed in Copenhagen instead. Russia, it would seem, isn’t a nation whose sovereign rights the US is easily prepared to violate – and which will not easily cave in to US pressure either. Several U.S. officials cited a complication to gathering intelligence on Snowden…: the fact that there has been no determination that he is an “agent of a foreign power,” a legal distinction required to make an American citizen a target of espionage overseas. It is indeed, as Miller writes somewhat “ironic”, that Mr Snowden is shielded from surveillance by his own colleagues but the irony runs deeper than the Post article suggests. That’s because it seems doubtful – given what we know because of the Snowden disclosures – that the US wouldn’t just go and surveil Mr Snowden anyway – legal basis or no legal basis – if their “reach in Moscow” wasn’t, as Miller writes, “limited”. Germany: what was that about the BND and the NSA being in bed together? Here’s what. Which brings us to another big revelation this week that is of relevance to Mr Snowden’s fate: Germany’s Der Spiegel in its print publication ran a feature about the BND’s (Germany’s foreign intelligence agency) relationship with the NSA, accusing the German government of not acting decisively enough (or at all) on NSA spying and hinting that Germany may have aided and abetted US drone strikes by being involved in crucial information gathering. This is a biggie for Germans. If true, Der Spiegel writes, Germany’s chancellor and her interior minister have some responsibility for the deaths of people killed in US drone strikes. If however, Der Spiegel’s editorial states, the government didn’t know that the NSA were carrying out espionage on German soil, then the chancellor’s official oath mandates that the government take legal action. It yet remains to be seen what the response from the German government to the Spiegel piece is going to be but judging by everything that’s happened so far, I am guessing probably very little. Which again hints worrying things either about German sovereignty (which I have commented on before) or Germany’s knowledge of and involvement in NSA and GCHQ spying. What Der Spiegel has disclosed also provides a very clear hint at why the German government has been so frantic in its attempts at keeping Mr Snowden from testifying in Germany where he might be able to provide further information on the BND’s cooperation with the NSA. After what Der Spiegel has just reported, that testimony seems more urgent than ever. It also seems more unlikely than ever. If the BND has behaved unlawfully, then quite possibly the government is going to continue trying to prevent that information going on the official record (a record that isn’t a newspaper that is). So much for democracy and accountability. And given the cosy relationship the NSA seems to have with the BND, surveillance of Mr Snowden would probably become a lot easier for US authorities in Germany than it seems to be in Russia. So far, there was room for speculation that perhaps the German government’s warnings that they would not be able to guarantee Mr Snowden’s safety in Germany or their refusal to guarantee that he would not be extradited were merely designed to deter Mr Snowden from coming to Germany. Empty threats that would evaporate into thin air once he actually got to Germany and applied for asylum, merely designed to prevent the German government from being stuck with Snowden on their hands. Now, there is ample scope for believing that the German government would allow what the Russian government didn’t last July: for the US government’s N977GA plane to land in Germany and spirit Mr Snowden away to imprisonment – if not “invisible” and “black” imprisonment, then perhaps to 23 hours a day of solitary confinement without trial, like Chelsea Manning. After all, why wouldn’t a government that aides and abets drone strikes aid and abet other human rights violations as well? Go ahead, German government, prove me wrong! The story about the CIA rendition jet failing to apprehend Mr Snowden may seem like an amusing anecdote (especially because it was English plane enthusiasts who spotted it). That is, if it didn’t once again expose Obama’s dismissal of the small effort his government would put into apprehending Mr Snowden a lie. And anyway, the Post and Spiegel pieces are distinctly un-amusing. With them, we can wave what was left of our governments’ credibility goodbye – and, as far as Germany is concerned, probably also what hope there was left of a proper investigation into NSA spying. Given the possible involvement of the BND and the knowledge of this and former German governments of what was going on, Ms Merkel and her minions can have very little interest in letting anyone probe too deeply into what exactly is happening at US military facilities in Germany. Let us be clear: the German government would not have to hand Mr Snowden over, if he somehow managed to end up within German territory. Note what the Post piece says about the incident with Evo Morales’ plane: “Even if Snowden had been a passenger, officials said, it is unclear how he could have been removed from a Bolivian air force jet whose cabin would ordinarily be regarded as that country’s sovereign domain.” Hence, if any government were willing to protect Mr Snowden, they probably could, unless the US were prepared to cause one whopper of a diplomatic scandal. After this week, and a year of the same, I for one do not believe any government will agree to protect Mr Snowden. Except the Russian government of course. Yes, Mr Snowden will quite possibly have to stay in Russia for a lot longer. Germany will not help him out. And considering Hilary Clinton’s recent comments, the next US administration’s approach to the matter also seems clear. If anything, the relationship between the US and Germany is likely to get even cosier. Too bad for Snowden, too bad for us. Und sie taten’s doch! Scha(n)de für Deutschland, winke-winke, Glaubwürdigkeit! Da sind sie nun. Zig Gründe, weshalb Edward Snowden sehr wahrscheinlich noch eine ganze Weile in Russland festsitzen wird. Nein, das ist nichts Neues. Entgegen aller Kampagnen in Deutschland und, man glaubt es kaum, Frankreich, war kaum anzunehmen, dass sich an der Einstellung internationaler Regierungen zu Herrn Snowden alsbald etwas ändern wird. Die Einstellung dieser oder der nächsten amerikanischen Regierung übrigens auch nicht. Hillary Clinton hat ja erst jüngst wieder deutlich gemacht, wie sie über Edward Snowden denkt. Warum ist die Snowden-Frage diese Woche also wieder topaktuell? Naja, zum Einen ist da Chelsea Manning. Man erinnert sich: die Whistleblowerin, die von den USA zu 35 Jahren Haft verurteilt wurde, weil sie der Welt offenbarte, was für Zustände im Irak wirklich herrschten. Manning äußerte sich diese Woche in der New York Times wenig schmeichelhaft zur Informationsweitergabe der Medien, die mit Erlaubnis der amerikanischen Regierung aus dem Irak berichten. Was sie schreibt ist vielsagend und unbedingt lesenswert. Dann publizierte die Washington Post einen Artikel des Journalisten Greg Miller, der aufdeckt, was hinter verschlossenen Türen im letzten Sommer ablief, als sich hochrangige Mitarbeiter des FBI, der CIA, des US-Außenministeriums und weiterer Behörden „beinahe jeden Tag“ trafen und „verzweifelt nach einem Weg suchten“ Edward Snowden in ihre, man möchte sagen, Gewalt zu bringen. Wie das abgelaufen ist weiß man ja. Der Artikel bezieht sich ebenfalls auf den Vorfall mit der bolivianischen Präsidentenmaschine. Und wo wir schon beim Thema Flugzeuge sind, gab es zudem Berichte, nach denen „die CIA während der Flucht Edward Snowdens ein Flugzeug in Richtung Russland schickte.“ Soviel zu Snowdens Besorgnis, nicht sicher reisen zu können. Soviel auch zur Aussage von US-Präsident Obama, er werde „keine Jets schicken, um einen Hacker zu fassen“. Und soviel denn auch zu Snowdens Hoffnung, er könne von Russland vielleicht bald in ein demokratischeres Land aufbrechen. “Wir wissen genau, wo Snowden ist” – oder doch nicht? Zum Thema demokratische Drittländer: die Zitate von Lisa Monaco und der anonymen Quelle der Post sagen eigentlich mehr als genug aus über die Beziehungen, die solche Länder mit den USA pflegen. Eingedenk des leidigen Umstands, dass die meisten Regierungen ihre Eier verlegen wenn es um die USA geht (das schrieb ich ja schon an anderer Stelle), kommt man nicht umhin sich zu fragen, ob es nicht das Beste ist, dass Snowden es nie dorthin geschafft hat. Guardian-Journalist Ewen MacAskil sagte der TAZ, dass es „wenige Orte auf der Welt“ gibt, „die dem Druck der USA standhalten können“. Russland, so MacAskill, sei so ein Ort. Tatsächlich besteht laut der Washington Post wohl Unklarheit darüber, ob die USA nun den genauen Aufenthaltsort Edward Snowdens in Russland kennen, oder nicht. US-Generalstaatsanwalt Eric Holder behauptet, man wüsste „genau, wo Herr Snowden ist.“ Wenn das stimmt, lassen sich interessante Erkenntnisse über die Beziehung der USA und Russlands (wenn auch nicht über die Beziehung Snowdens zu Russland) aus dem Umstand ableiten, dass es den USA eben noch nicht gelungen ist, Snowden zu verhaften. Versucht haben sie es ja, als sie letztes Jahr Ihre “Rendition Aircraft” losschickten. Nur schafften sie es damals nicht, mit Russland die Herausgabe Snowdens zu verhandelnd und der Jet landete statt in Moskau in Kopenhagen. Russland ist offenbar keine der Nationen über deren Hoheitsrechte sich die USA einfach so hinwegsetzen – und die sich auch nicht mal eben diplomatischem Druck seitens der USA beugen. Andererseits wissen die USA vielleicht doch nicht, wo genau sich Snowden aufhält. Andere Quellen sagten der Post, dass den USA sogar Antworten auf grundlegende Fragen nach Snowdens Lebensumständen fehlen. Wie zum Beispiel die, wo genau er wohnt, oder welche Rolle der russische FSB in seinem täglichen Leben spielt. – wohl eine legale Notwendigkeit, wenn man einen amerikanischen Staatsbürger im Ausland überwachen will. Tatsächlich ist es, wie Miller schreibt, schon “ironisch”, dass Snowden vor der Überwachung durch seine Kollegen zumindest teilweise dadurch geschützt ist, dass er nicht als russischer Agent eingestuft wurde. Aber die Ironie bei der Sache geht eigentlich noch tiefer: es ist wohl kaum anzunehmen, dass die USA Snowden nicht trotzdem überwachen würden, wenn ihre Kapazitäten in Moskau nicht begrenzt wären – bei Millionen anderer Amerikaner halten sie sich, wie wir durch Snowden wissen, ja auch nicht an legale Notwendigkeiten. Deutschland: Bettgeflüster zwischen NSA und BND? Aber hallo! Die Bundeskanzlerin hat einen Amtseid auf das Grundgesetz geschworen. Spionage gegen Deutschland ist nach dem Strafgesetz verboten. Die Grundrechte der Bürger sind also keine flexible Größe, abhängig davon, wie es um das Verhältnis Deutschlands zu den USA gerade bestellt sein mag. Entweder haben die amerikanische und die deutsche Regierung miteinander abgestimmt, was die NSA in Griesheim, Wiesbaden, Berlin, Frankfurt und Stuttgart tun darf – dann müssen die Kanzlerin und ihr Innenminister die Öffentlichkeit darüber informieren, denn beide trügen damit Mitverantwortung für die Handlungen der Amerikaner, die offenbar in Deutschland gewonnene Daten für das Töten mutmaßlicher Terroristen nutzen. Oder aber die NSA geht auf deutschem Boden ohne Wissen und Billigung der Bundesregierung vor. Dann kommen ihre Operationen der Spionage gleich, und da- gegen muss die Regierung, wie in anderen Fällen auch, vorgehen. Das muss man mal sacken lassen. Es könnte sein, dass die Kanzlerin und der Bundesinnenminister Mitverantwortung für die Tötung von Menschen (und vermutlich nicht nur Terroristen, sondern auch sogenannten kollateralen Zivilopfern) durch Drohnenangriffe der USA tragen. Das wäre, um es mal ganz klar zu sagen, ein Skandal neuer Größenordnung, sogar mit Hinblick auf die Snowden-Enthüllungen. Auf die Reaktion der Bundesregierung auf den Artikel im Spiegel darf man gespannt sein. Vermutlich wird sie, wie bisher ja fast immer, eher unspektakulär ausfallen. Was uns wieder zur Frage nach der deutschen Souveränität bringt, über die ich mir ja bereits im Frühjahr Sorgen gemacht hatte. Und wenn dies keine Frage der Souveränität ist, muss man sich über die innige Freundschaft des BND mit der NSA Sorgen machen und darüber, was das für Deutschland und die deutschen Grundrechte bedeutet. Jedenfalls scheint die neueste Spiegel-Veröffentlichung ein klarer Hinweis darauf zu sein, wieso sich die deutsche Regierung quasi überschlägt bei dem Unterfangen, Edward Snowdens Aussage vor dem NSA-Untersuchungsausschuss zu verhindern. Seit dieser Woche scheint diese Aussage wichtiger denn je. Sie scheint aber auch unwahrscheinlicher denn je. Wenn der BND tatsächlich geltendes Recht verletzt hat, mehr noch, wenn die deutsche Regierung Mitverantwortung trägt an Menschenrechtsverletzungen durch amerikanische Drohnenangriffe, dann werden sie wohl kaum zulassen, dass dies Gegenstand der NSA-Untersuchung wird. Soviel zu Demokratie und Rechenschaftspflicht. Und angesichts der inniglichen Beziehung, die der BND offenbar mit der NSA hat, würde die Überwachung eines Herrn Snowden in Deutschland für die USA vermutlich bedeutend einfacher als sie es momentan in Russland ist. Bisher konnte man sich noch Fragen, ob die Warnungen der Bundesregierung, man könne Snowden nicht schützen oder garantieren, dass man ihn nicht ausliefert, lediglich der Abschreckung dienten. Dazu, zu verhindern, dass die deutsche Regierung sich am Ende in der vertrackten Lage sieht, dass Snowden auf deutschem Boden Asyl beantragt und dann nicht mehr so einfach loszuwerden ist. Seit dieser Woche kann man sich aber auch sehr gut vorstellen, dass die deutsche Regierung zulassen würde, was Russland letztes Jahr verhinderte: dass die US-Regierungen ihren N977GA Jet nach Deutschland schickt und Snowden in die Haft entführt – 23 Stunden Isolationshaft ohne vorherige Verurteilung vielleicht, wie im Fall Chelsea Manning. Wer sich bei Menschenrechtsverletzungen durch Drohnen und Rechtsverletzungen gegen die eigenen Bundesbürger nicht anstellt, tut das erst recht nicht für einen (mittlerweile fast 31-jährigen) „Hacker“. Die Geschichte mit dem CIA-Flugzeug mag wie eine amüsante Anekdote klingen – vor allem, da es ein „Online-Netzwerk in Großbritannien, das sich dem Nachverfolgen und Dokumentieren von Flugrouten verschrieben hat“ war, dessen Mitgliedern die Maschine damals auffiel. Allerdings straft sie einmal mehr die Aussage Obamas darüber Lügen, wie wenig Aufwand er aufbringen würde, um Snowden zurück zu holen. Und an den Artikeln der Washington Post und des Spiegel ist ohnehin nichts amüsant. Damit können wir jetzt dem letzten Rest Glaubwürdigkeit, der der deutschen Regierung vielleicht noch blieb, zum Abschied nachwinken – und dem letzten Funken Hoffnung auf eine umfassende NSA-Aufklärung wohl auch. Angesichts der möglichen Teilhabe des BND an den Aktivitäten der NSA und dem Wissen, dass diese und vorherige Regierungen davon vermutlich hatten, können Frau Merkel und ihre Kohorten kaum ein ernsthaftes Interesse daran haben, dass irgendwer genauer unter die Lupe nimmt, was auf den deutschen US-Armeestützpunkten in Griesheim und anderswo wirklich abläuft. Damit das klar ist: die deutsche Regierung müsste Edward Snowden nicht an die USA übergeben, wenn er es irgendwie auf deutsches Hoheitsgebiet schaffte. Auch das geht aus dem Artikel in der Washington Post hervor: „Selbst wenn Snowden an Bord [von Evo Morales‘ Jet] gewesen wäre, wäre es laut offiziellen Quellen unklar, wie man ihn von Bord einer Maschine der bolivianischen Luftwaffe hätte zwingen können. Denn diese gelten eigentlich als Hoheitsgebiet eines Landes.“ Überhaupt: wenn Luftwaffen-Flugzeuge deutsches Hoheitsgebiet sind, könnte die deutsche Regierung Snowden sogar einfliegen lassen, oder nicht? Wäre die deutsche Regierung jedenfalls Willens, Snowden zu schützen, könnte sie das vermutlich auch, es sei denn die USA wären bereit einen diplomatischen Skandal völlig neuen Ausmaßes zu provozieren. Seit dieser Woche, und überhaupt dem ganzen letzten Jahr, glaube ich allerdings nicht mehr daran, dass sich irgendeine Regierung außer der russischen in nächster Zeit bereit erklären wird, Snowden zu unterstützen. Egal, wie viele Rechtsverletzungen dank ihm noch aufgedeckt werden. Ja, Snowden wird vermutlich noch eine ganze Weile in Russland bleiben müssen. Deutschland wird ihm dort nicht heraushelfen. Eher wird die Beziehung zu den USA noch enger, wenn man sich ansieht, wie gern sich Frau Merkel und Frau Clinton offenbar jetzt schon haben. Schade für Snowden, scha(n)de für Deutschland.